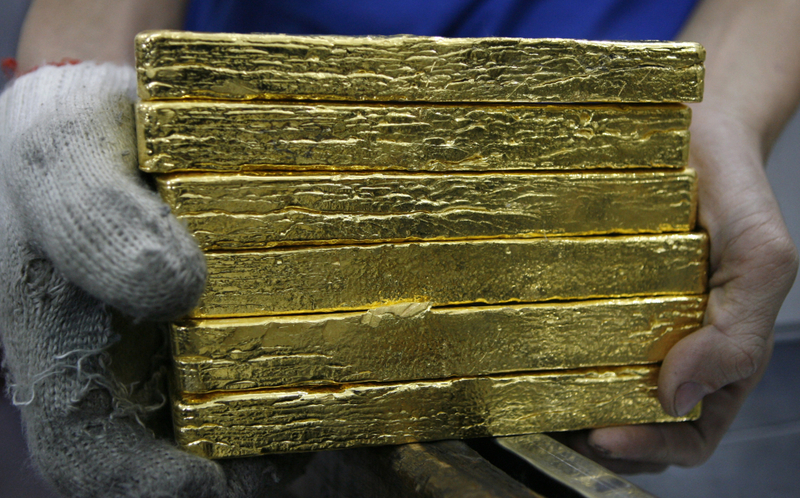 Gold And Silver – In East v West Gold War, Both Are Still Winning. http://usawatchdog.com/weekly-news-wr… – “Israel says ‘bad’ Iran deal will bring War.” Iran calls Israel a “rabid dog” in the Middle East. An attack on Iran would lead to a quick escalation that would have calamitous consequences for the entire world. The Senate just changed the rules on the filibuster, and it has stopped this tactic for judicial nominations. Many say this is the nuclear option, and the minority party will have to succumb to majority rule on nearly all nominations and laws being voted on in the Senate. Finally, today is the 50th anniversary of the JFK assassination. I can remember Lee Harvey Oswald yelling out, “I’m a patsy.” I asked my Dad what that meant, and he told me, “He’s saying he didn’t do it.” I don’t think he shot JFK and never will because the government story has more holes than Swiss cheese. Join Greg Hunter of USAWatchdog.com as he gives his analysis on these stories and more in the Weekly News Wrap-Up. 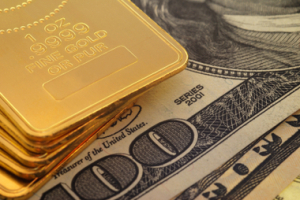 Gold and Silver – Back Story v Charts; Charts Are Superior. http://usawatchdog.com/weekly-news-wr… – Nobody won the debt ceiling/budget crisis when you consider the fact the U.S. needed to borrow or print more money just to pay its bills. We are running a trillion dollar a year shortfall, and it cannot and will not go on. A disaster is coming in 2014. When the smoke clears with this debt ceiling budget fiasco, there will still be a failing economy that needs to be propped up. The real problem will come when everyone realizes that they will be forced to pay more for health insurance to get less. The Iranians want to take a year to resolve the dispute over its nuclear program. I do not think the West is going to give Iran a year to settle this question, and that includes Israel. Join Greg Hunter of USAWatchdog.com as he gives his analysis on these stories and more in the Weekly News Wrap-Up. 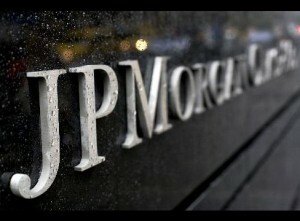 Is JP Morgan a Criminal Enterprise? In this episode of the Keiser Report, Max Keiser and Stacy Herbert discuss the Lilliputian view on fraud and theft and how this applies to the chief banking knaves at JPMorgan. In the second half, Max interviews Marc Armstrong of PublicBanking.org about turning depositors into shareholders as a fraud recipe shared amongst the Too-Big-To-Fail banks. With public banking, interest is returned to the economy from whence it came. I don’t know which producer at CNBC had the genius idea of asking Alex Pareene on to discuss Jamie Dimon with Dimon’s biggest cheerleaders, but the result was truly great television. What’s more, as Kevin Roose says, it illustrates “the divide between the finance media bubble and the normals” in an uncommonly stark and compelling manner. Maria Bartiromo: Alex, to you first. Legal problems aside, JP Morgan remains one of the best, if not the best performing major bank in the world today. You believe the leader of that bank should step down? This is a very strong point by Pareene — and it’s a point which was well taken by Barclays. 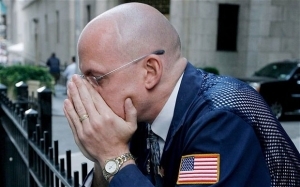 When the UK bank was fined $450 million last year for its role in the Libor scandal, its CEO duly resigned. After all, a $450 million fine is prima facie evidence that the CEO really isn’t in control of his bank. But $450 million is a rounding error with respect to the kind of fines that Dimon is now talking about paying — $4 billion, $11 billion, $20 billion, who knows where this will stop. Tim Fernholz has a good roundup of all the various things that JP Morgan is in trouble for; Libor manipulation is at #5 on his list of seven oustanding investigations — on top of another four settled investigations. If Libor manipulation alone was enough to mean the end of Bob Diamond, it’s hard to see how Jamie Dimon should be able to survive this tsunami of litigation. Duff McDonald: It’s preposterous. The stock’s touching a ten-year high. It’s a cash-generating machine. 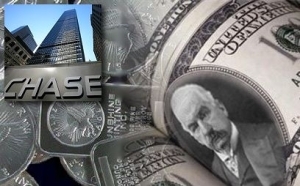 Maria Bartiromo: Should we talk about the financial strength of JP Morgan? The company continues to churn out tens of billions of dollars in earnings and hundreds of billions of dollars in revenue. How do you criticize that?